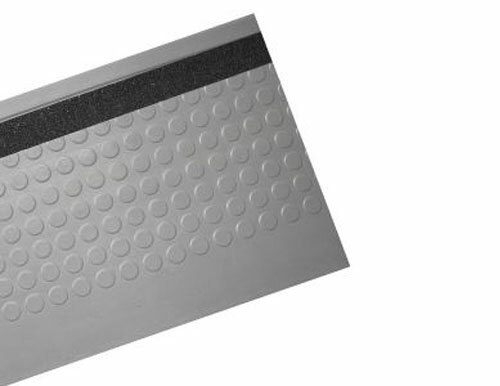 Our medium grey rubber stair treads provide an attractive safety solution wherever you need safe footing. These modern rubber stair treads have a 2-inch grit strip inlaid in the tread for additional safety and secure footing. Made of high-quality compound, our designs are easy to clean, and hold up well to long-term use. For a resilient anti-slip product made for any interior stairs consider Sure-Foot’s expertly designed stair treads. Our slip-resistant rubber and vinyl stair treads are perfect for use in industrial, medical or commercial buildings. They are also commonly used in schools, churches, hospitals, restaurants and more.